Not sure I understand all the hate for this movie. It was entertaining and had some great call-backs to the first two films and the casting was solid. Sure, you can fry your mind trying to figure out the time travel and how it all works out - but if you don't overthink things and just enjoy it for what it is, you'll get some satisfaction out of things. 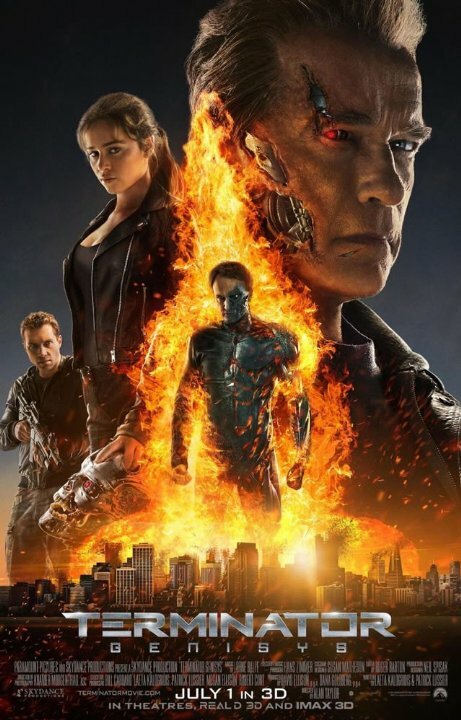 For more reviews visit www.KalpeshPrajapati.com Terminator Genisys � Rating 9 out of 10 You�ll need your brain and a notepad to watch this movie because this terminator is set to keep you at the edge of your seat to extent of you pulling you hair when you miss the connection between 2 scenes. So pay attention!. Arnold is back and back with a bang! He has aged but is not obsolete. This movie is a good reboot to the terminator series keeping the story same but reversing the roles of terminators and John Connor. The breathtakingly amazing stunts combined with excellent visual effects would definitely be liked by the audience. A soldier of the human resistance is sent back in time to protect the mother of humanity's saviour from assassination, to find that the move has been preempted by both Skynet and another reprogrammed terminator. Older...but not obsolete. Well said, Arnold. No posts have been made on this movie yet. Be the first to start talking about Terminator: Genisys!